First impression and last impression always matters and these 9.5x4.12 custom envelope white will allow you to make best first and last impression. These personalized business envelopes are available at guaranteed low prices. It doesn’t matter whether you decide to insert promotional magnets in goodie bags, hand them out individually or send them as mailers, you can rely on these personalized envelopes to carry them. Your customers will remember your brand in distinct way due to the neat presentation of branding information. Order today to get started with these personalized magnets and business envelopes at guaranteed low prices. 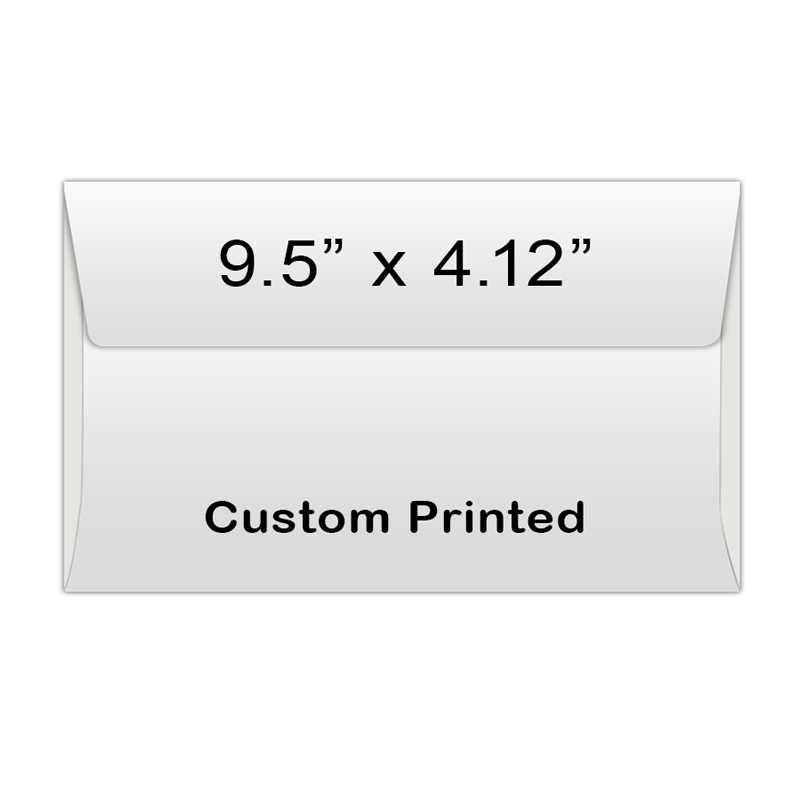 Request a quote to know wholesale savings for these 9.5x4.12 personalized envelope white. Product Size : 9.5 in. X 4.125 in.